ear to ear, Best Effort, Moonshoe & Freda’s hold hands for an epic Autumnal affair. RAMZi’s productions blur musical ideas and melodies into strange and irresistible rhythms. Her use of tropical forest sounds, lopsided percussion, delirious synths and autotuned vocals take the listener to strange new worlds. RAMZi, aka Phoebé Guillemot, has released on Mood Hut, 12th Isle, 1080p and most recently on Guillemot’s own FATi Records. As a part of her Inner Varnika tour, we are delighted to host RAMZi and her mind-bending live set. Cousin is the solo project of Moonshoe head, Jackson Fester. Cousin will channel his microscopic focus into trippy, dubwise excursions. 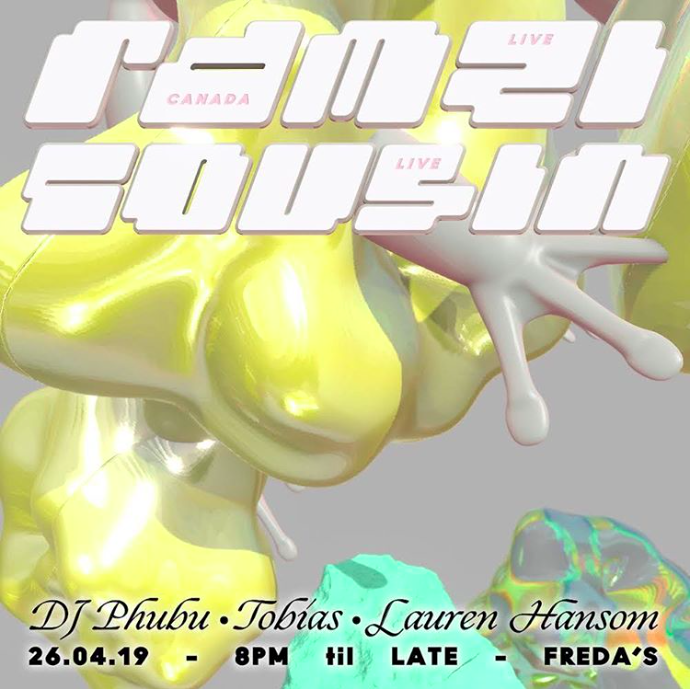 Dense with deep dubby basslines and shrouded in a smoked-out haze, this is the turn you'll want things to take before RAMZi takes to the stage.